BA (Hons) Architecture student Isaac Read, was awarded the RIBA East Student Award 2017 for his project ‘What defines ‘a divide’ – a physical wall or an intangible barrier?’. The Royal Institute of British Architects annual East Awards celebrates and rewards outstanding architectural students in the East of the Region. 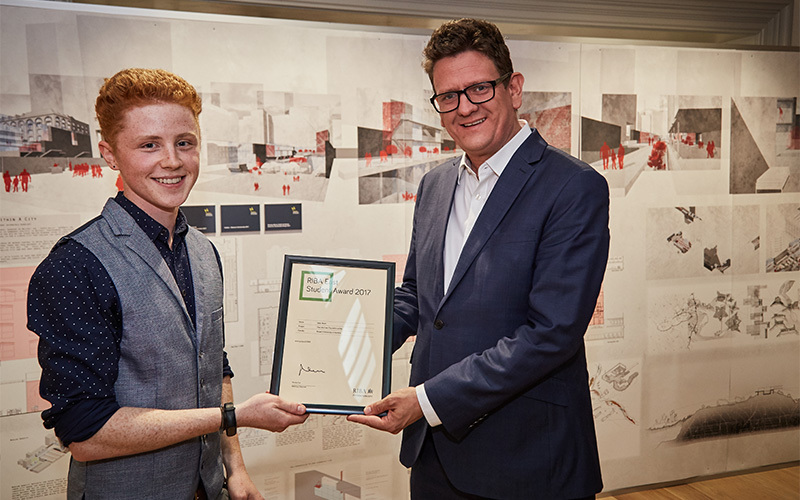 Pictured is the Chair of RIBA East, Nicholas Tye presenting Isaac with the award.